Take merchandise like hockey sticks, baseball bats, or lacrosse sticks for example. Long and narrow, they won’t fit into the kinds of cartons you are likely to have on hand. Consequently, getting them ready for transport may require some creativity. The same can be true of items like lamps, artwork, electronics, and other breakables. Their fragile nature adds to the degree of difficulty. Packing and shipping heavy items may require some extra steps as well. How can you help ensure that odd shaped items make it safely to their destination? Here are some proven strategies. Use an oversized carton with more padding. In some cases, you may find that your best option is to use a carton that accommodates the item’s largest dimensions, even though it may mean that there is a significant amount of excess space. You can add more padding to secure the item. Have custom inserts designed. Foam or styrofoam inserts created to cushion a specific item not only provide better protection but make the packing process more efficient. Use the “package within a package” approach. Sometimes an item can be more easily secured within one container that can then be packed in a carton. Have custom cartons created. If there is an odd shaped item that you ship regularly, you can have a custom carton designed and manufactured specifically to accommodate that item. Consider a courier. 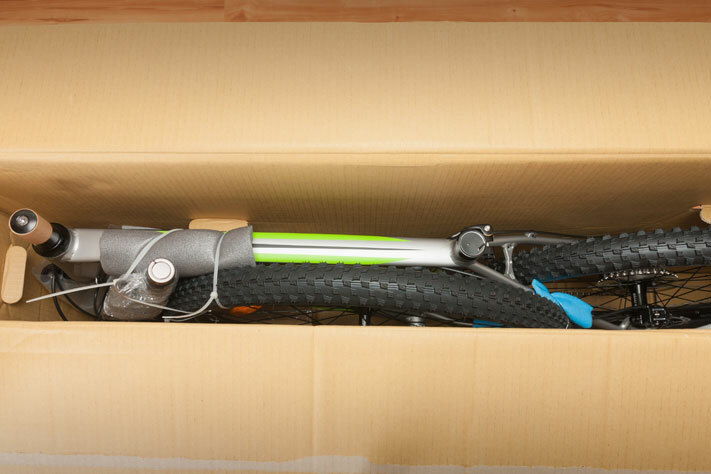 Despite your best efforts at packing an odd shaped item properly, there may be a greater risk that it will be damaged during shipping. If you have concerns, you might consider sending the package using a courier who gives it individualized attention. If the packaging is a unique size or shape, will the shipper accept it? Will they charge more to ship it? Will it take longer to be delivered? Can it be (and should it be) insured? Does the item’s odd shape require that it be kept in a particular orientation during shipping? If so, that should be indicated in multiple locations on the carton. Ultimately, virtually an item can be safely shipped. The more unique the shape, however, the more forethought and care will have to go into the preparation. To learn more about water-activated tape and its role in securing packages of any shape, click here.